This title is not a mistake, nor an Energizer battery advertisement: Pacifica Iris begin flowering in March, and are still flowering in my garden (on the West Coast at 46 N latitude) in June. Blooms shift from one group to another over the months. I did not initially plan for a long bloom season, it happened by chance. The Pacifica Iris blooming year begins in the fall, with PCI 'Premontion of Spring', a hybrid developed by Garry Knipe, Cupertino, CA. It flowers mid-fall through late winter. In my garden, it starts in September, and continues to spring, straddling the Fall to Spring equinoxes, tossing out a flower or two every few weeks. Garry is working on other early flowering hybrids, so look for more plants like this in coming years. 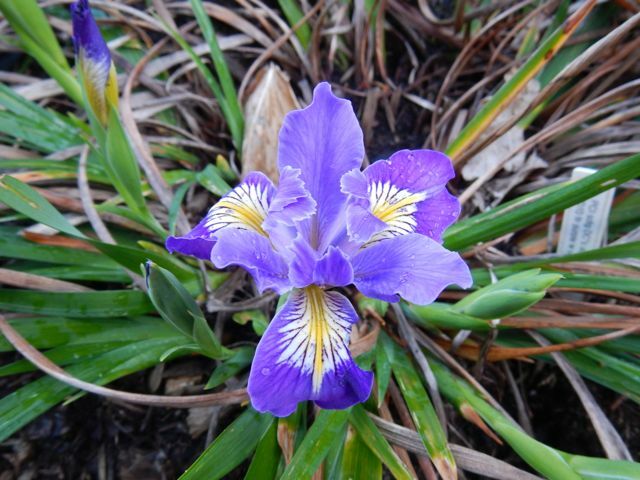 I also grow several selections of Iris unguicularis, which flower sporadically through winter, peaking in March, and I. danfordiae and I. reticulata, which usually flower in February and March. PCI, it may cross with them. The main flowering event begins in mid March to early April, with many hybrids opening flowers in just a few weeks. The race is on each year to see which one will flower first. In 2015, PCI 'FingerPointing' had colored buds showing, but PCI 'Blue Plate Special' opened first. A week later, dozens of hybrids were flowering. blues that come on in April. from Ghio; it also starts a bit later. This main season of blooms from hybrid plants lasts six to eight weeks or more, depending on weather. Hot days will bring flowers on quickly, and then finish quickly. In cool weather, the hybrids may flower for more than ten weeks, from early April well into June. Species that flower during this period include I. innominata (usually early), various I. douglasiana selections straddling the whole period, and I. chrysophylla. By June, most hybrids are done. This year, PCI 'CapeFerrelo' and a seedling of PCI 'Untitled' kept opening flowers into mid June, one or two at a time. By then, the flower show shifted to Iris tenax, late flowering I. douglasiana types, and other species crosses, including I. tenax x I. innominata and I. chrysophylla x I. tenax. more limited, but a month after the commercial hybrids are done, these are going strong. I particularly like I. douglasiana from Mendocino Coast Botanic Gardens, and Cape Blanco, for their late purple flowers, and dwarf I. douglasiana, from the SPCNI seed exchange, for very low plants that flower in June to early July most years. Wild-collected I. tenax from southern Clatsop County, Oregon, flowers reliably in June in my garden, usually peaking as the first lilies come into bloom. I also have a purple small-flowered I. douglasiana x I. chrysophylla, also from the seed exchange, that peaks in early June; the plant is taller than most hybrids; the latter tend to be well under two feet tall. I. innominata x I. tenax is also late. The nicest aspect of late flowering species is that bees easily find the flowers, which set a lot of seed to share out to others. In my garden, early to mid season flowers (PCI hybrids) don't always get pollinated. Poor seed set early in the season was very noticeable this year. I'm looking into ways to encourage bumblebees and other cool season bees to help this along. Early seed set is less problematic in warmer gardens, and plants are probably taller too. Late and low-growing, this I. douglasiana is usually the last PCI to flower. Flowers and foliage are under 12 inches tall. I'm waiting to see which plants flower last this year: dwarf I. douglasiana or I. innominata x I. tenax? Meanwhile, lilies are opening first blooms all over the garden, and will carry the flower banner forward to early September. This year I resolved to try hybridizing irises. I was drawn in by a YouTube video by Mark Richards of Pleasant Valley Iris Farm, here, and an interesting article by Dan Holt, here. These references took the mystery and fear out of hybridizing, so I decided to write this article, geared toward the novice iris hybridzer. I'm just learning about it and want to share with other beginners what I learned. "I don’t know why but it surprises me that there are so many irises with unknown ancestors that are allowed to be registered on the American Iris Registry. It just seems like a hybridizer should know the genealogy when he or she registers it." A number of people took issue with this statement because I used the word "allowed", and what followed was an enlightening exchange with some important hybridizers. What I wanted to know was what circumstances lead to hybridizers not knowing one or both parents when they register new iris? The following is what I learned when I stirred up the hornet's nest. 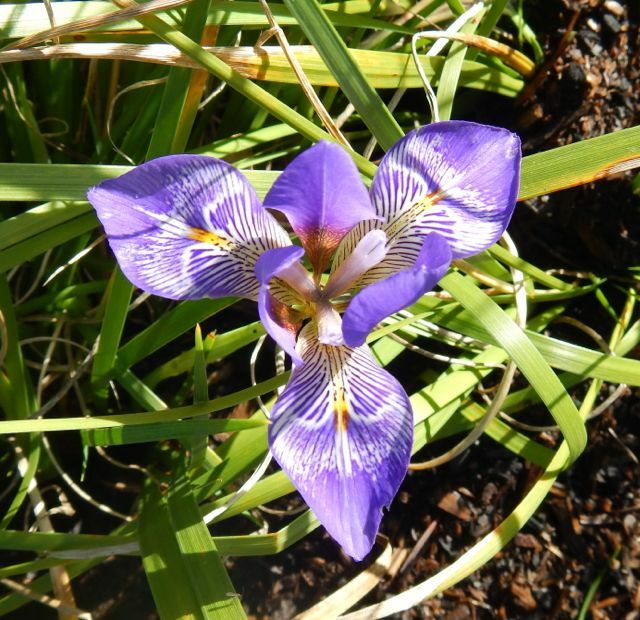 The obvious reason is that some iris crosses are the results of “bee pods,” meaning a bee has brought pollen to a flower and pollinated it and the result is a swollen pod. The grower would know the pod parent but would not know which flower or flowers the bee had visited before coming to pollinate that iris. He or she could decide to let that pod ripen and save and plant the seeds anyway. There are also some other less obvious reasons for a breeder not to know parentage. One hybridizer said he always labeled his crosses with a label but he had a teenage neighbor with Down’s Syndrome who got a kick out of changing the signs around. Another said they knew of a certain hybridizer who invented pedigree information if he didn’t happen to like the hybridizer whose plant he was using for breeding. Another had a cat who took out the labels and played with them. Another claimed that there was at least one breeder who just didn’t want to be bothered with registration and got cross with the registrar over it. He didn’t have adequate records to start with, and made stuff up. 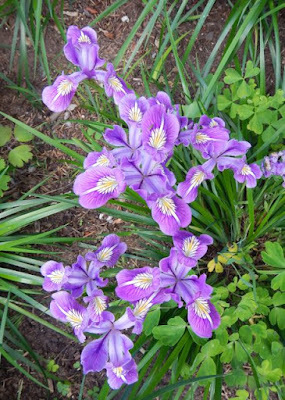 There were also several hybridizers who had iris gardens with crosses in them all labeled when terrible weather took out the labels. A lot of information was lost during hurricanes Katrina, Rita and Ike. One of our well-known and respected hybridizers said that a lot of people seem to take registration as a kind of stamp of approval, deeming something as worthy of being sold, or like a patent or something. I was one of those people. As it turns out, it’s just about ensuring “one iris, one name.” That made perfect sense to me. Another said that registration aids when giving out awards later on. Another comment was that some hybridizers were afraid people would steal their ideas. Later in the thread someone said that hiding parentage deliberately is a useless exercise. He said by the time you have registered an iris you are already about 5 years or more ahead of anyone who would copy it. 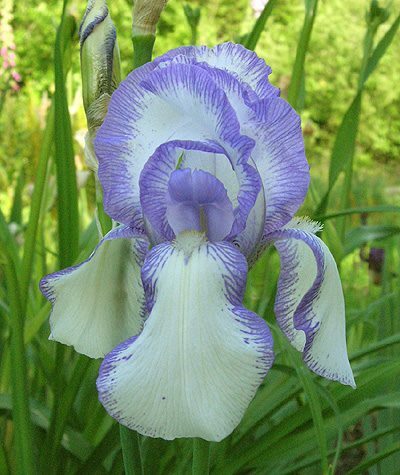 There are many wonderful irises whose parentage or partial parentage is unknown. 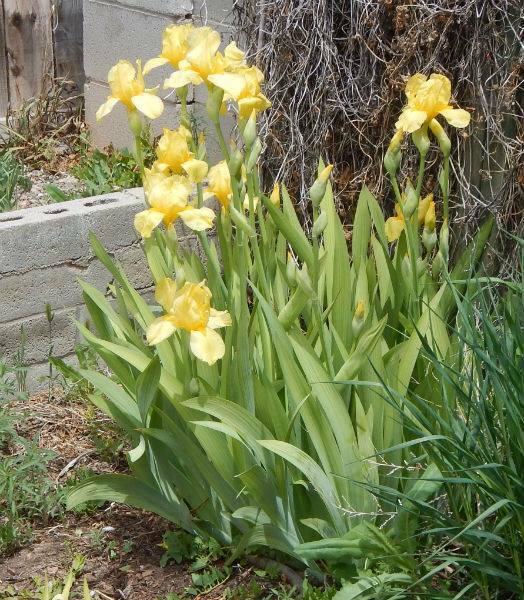 Here are some of examples of irises that I grow that we don’t know one or both of the parents. All are lovely and some are Dykes Medal winners. Unfortunately, my plan to begin breeding irises was foiled this year by torrential rain, but I am on the lookout for bee pods. Maybe the bees did some work in the few moments that it wasn't raining. 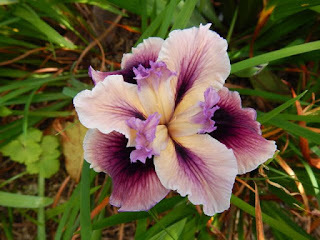 If this article sparks your interest in hybridizing I suggest you go to the two links above. Although there are a number of good resources, these are the two I found most useful. Happy gardening, and let me know how it goes. 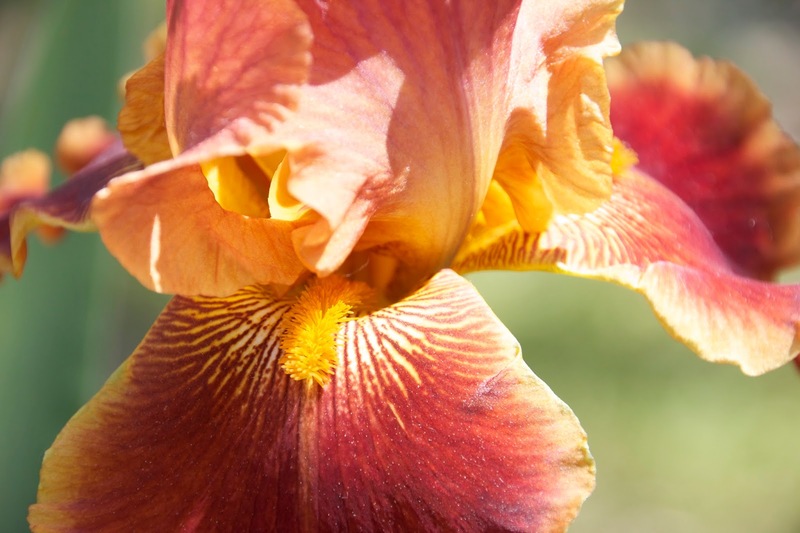 One of the things you may notice about serious iris enthusiasts (sometimes known as “irisarians”), as opposed to gardeners who casually grow a few, is an obsession with names. 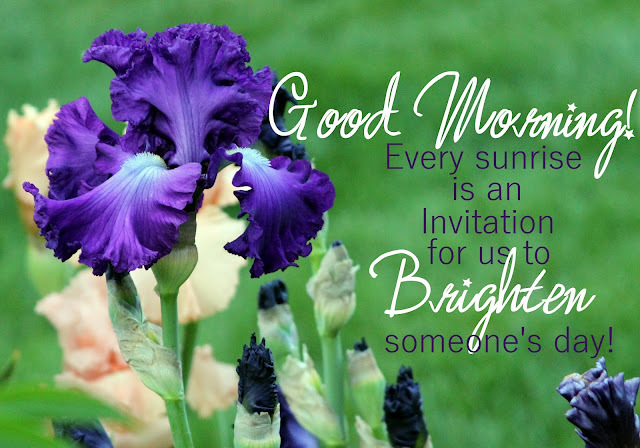 We go around earnestly correcting the names of irises people share on line or in person, sometimes even to the point of calling out minor spelling errors. What is this about? Surely the flower’s loveliness and welcome presence in our gardens doesn’t depend on its name. Why is it so important to some of us enthusiasts? It’s one of those things that most of us get very much indoctrinated about, early on in the learning process, as the iris hobby becomes more and more serious. It’s been part of iris culture for generations. At one time, you see, names were in a state of chaos. The same plant would be passed around under any number of different names, and similar plants were sold or shared under the same name. Names would be casually translated from one language to another, with no one quite sure if they were meant to refer to the same plant or not. One of the first goals of the American Iris Society in the 1920s was to try to straighten out the confusion, by carefully documenting names from old magazine articles and catalogs and compiling a checklist. 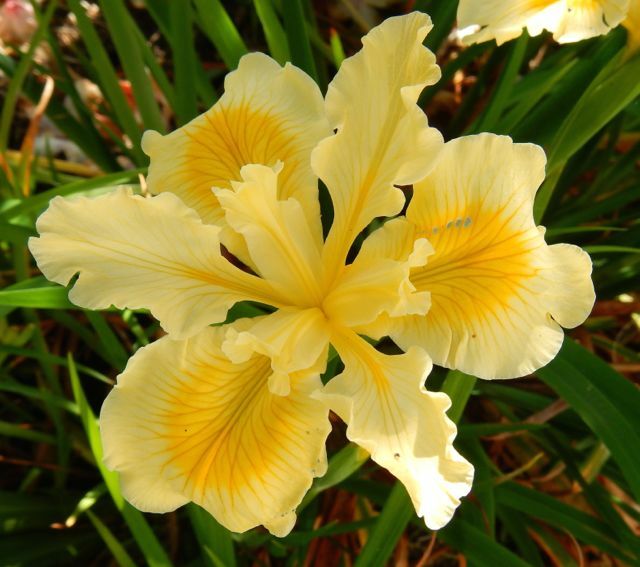 The American Iris Society is the international registration authority for all irises except those that grow from bulbs (like Dutch Iris and reticulatas). Ideally, every name is registered with the AIS along with a careful description before the iris it belongs to is sold or shared. 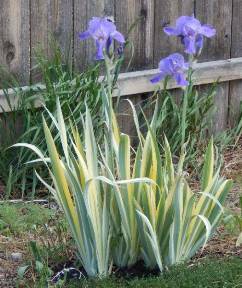 Iris pallida variegata, sometimes grown under the incorrect name "Zebra"
Without this care, the names become practically meaningless, and one cannot reliably purchase a particular cultivar or discuss its qualities with other growers. 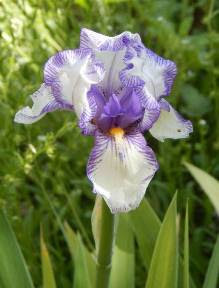 This is especially important because so many irises resemble others, at least at first glance. Casual gardeners may be inclined to think that all pink irises are the same, or that the one they just bought from a garden center is “the same iris” grandma grew years ago, because they are both purple. Any time an iris is sold or shared under an incorrect name, it makes headaches for those further down the line who want to know which iris they actually have. Irises whose names are unknown are these days often called “noids” (for “no ID”). The term is cute and memorable, but alas it’s too close to the name of a well-known hybridizer of some decades past, Luella Noyd, so I prefer to avoid it. I’ve also seen them spoken of as UFOs (unidentified flowering objects). The Internet has taken the problem of identifying irises to a whole new level. It has made it 100 times easier to get information on any subject, but 10,000 easier to get bad information on any subject, it seems. 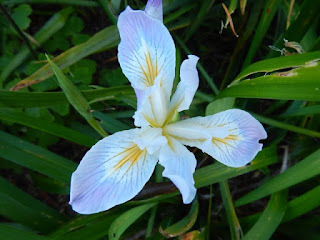 Every day, people post photos of irises asking for the name, and often just accept the first answer someone throws out. That can be worse than having no answer at all! 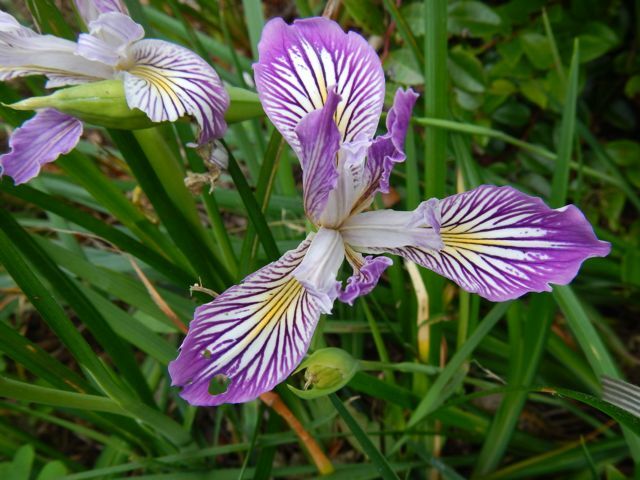 Very few irises are so distinctive that they can be unambiguously identified at a glance from a single photo. The only way to check a tentative identification is to acquire the true plant from a reliable source and grow it alongside your own. They should be identical in detail. So what is a “reliable source”? 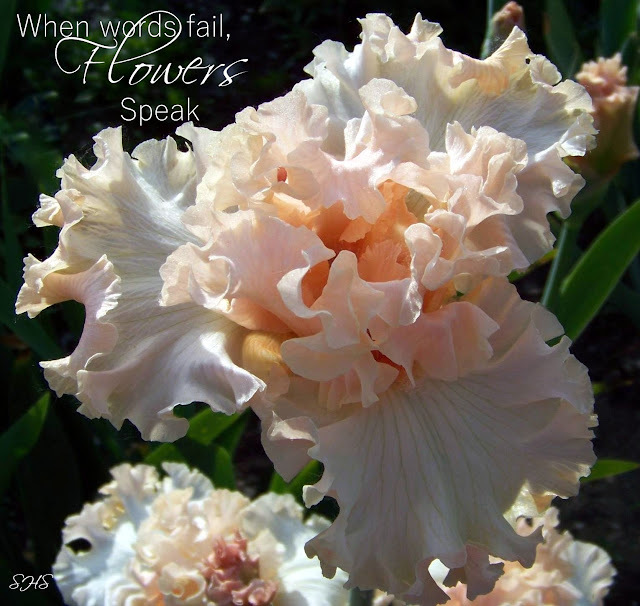 The “big box” stores are notorious in selling mislabeled irises. Local garden centers are better, but still make quite a few mistakes. Iris sellers on Ebay are all over the map in terms of reliability. Your best bet is to stick to sellers who specialize in irises. Even that is not foolproof. 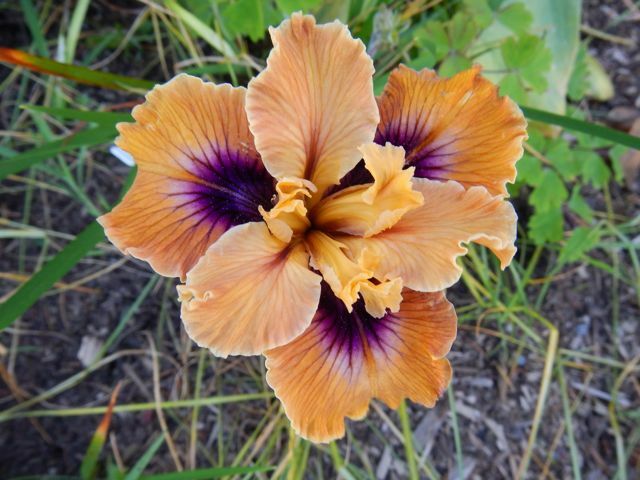 A few years ago, I ordered the iris ‘Orange Crush’ from an iris grower with impeccable credentials. When it bloomed, it was not even the right color! I wrote to him and inquired about it. It turns out he grows his plants in alphabetical order, and the one I got was the previous one in the alphabet. Its name? ‘Oops’. That gave us a chuckle. Some name confusions have been going on for so long that it can be quite difficult to sort them out. 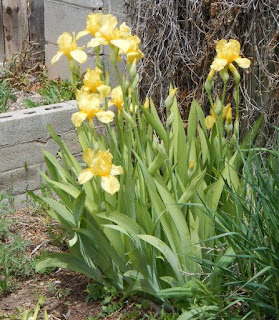 When I started growing irises in Las Cruces, New Mexico, in the 1970s, a number of local growers had a historic iris ‘Mme. Chereau’. We all loved it, not least because it had been around since 1844! It turned out the plant we were all growing was actually an even older cultivar, ‘Swerti’. But because we had all seen it in each others’ gardens, we “knew” it was ‘Mme. Chereau’. 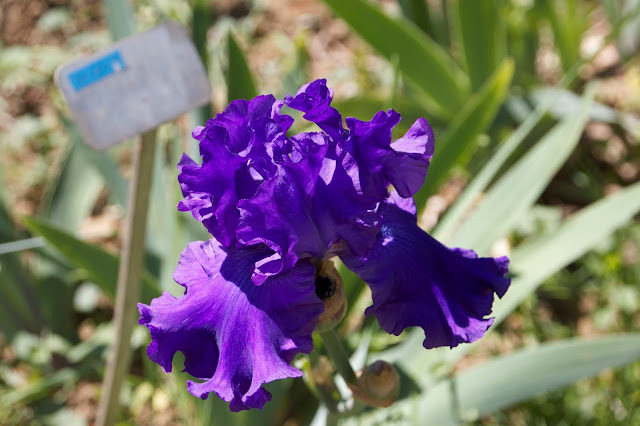 A photo of the impostor even made it into the American Iris Society book, The World of Irises, showing how difficult it can be to be sure of identifications, even on the best authority. 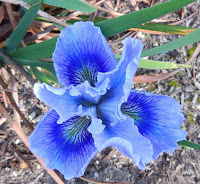 Aware of this long-standing confusion, I resolved a couple years ago to grow these two irises in my garden and familiarize myself with their differences. Ironically, the ‘Mme. Chereau’ I acquired to make the comparison turned out to be – you guessed it! – ‘Swerti’. 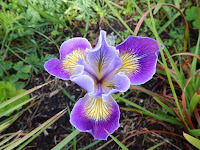 A word of caution: The on-line Iris Encyclopedia, although hosted by the American Iris Society, is (like Wikipedia) maintained by users, and is not authoritative. 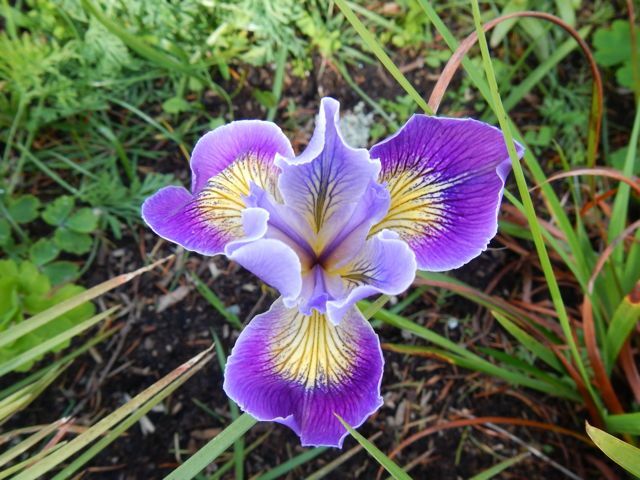 The entries for some irises have incorrect photos. 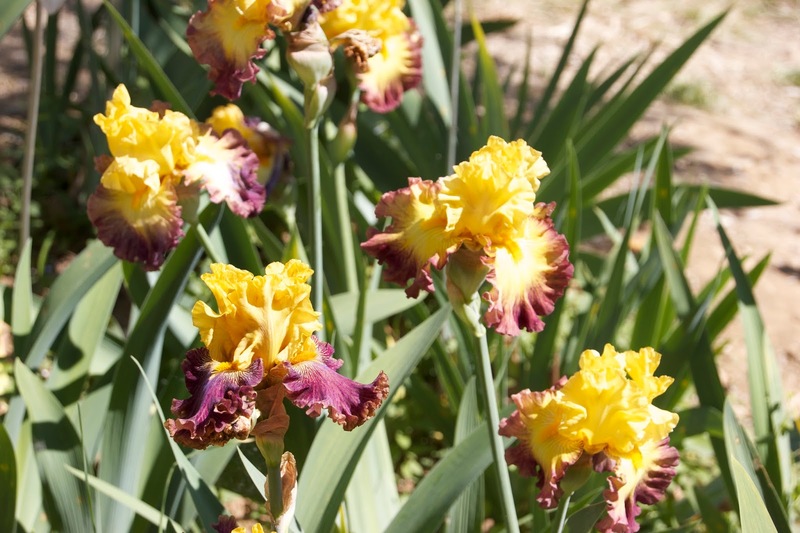 For older irises, the Historic Iris Preservation Society is the best source of identification expertise. HIPS is home to experts who have made identification of older cultivars into a passion, delving into the subject with persistence and dedication, unearthing old photographs, documents, and descriptions. There are some confusions so old and entrenched, however, that even the experts can hold different views. Some irises have had whole articles and book chapters written about them, as researchers struggle to sort out their identity. 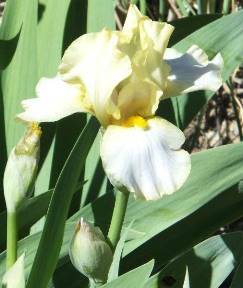 But you don’t have to be an expert to help with the problem of misidentified irises. Anyone can help by following one simple rule: don’t pass an iris around unless you are sure it is correctly named. If it came to you without a name, this will often mean growing the real thing side by side with your orphan. Even passing an iris on saying that you don’t know its name is not a good idea. Inevitably, someone down the line will be growing it and decide they “know” what it is anyway! A second bit of advice: Don’t become indignant or defensive when someone tells you your iris is misidentified. It’s not a criticism, it’s a gift of better information than you had before! A thank-you is the appropriate response. Some growers just destroy anything they are not sure of. That’s one way solve the problem, but sometimes an unidentified iris just pleads with you to give it a home. 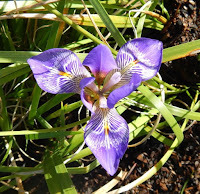 When we moved into our present house, there were some irises growing on the property. They turned out to be a yellow tall bearded, apparently of mid-twentieth-century vintage. They outperform almost everything else I grow, with tall stalks, clear color, and a long period of bloom. 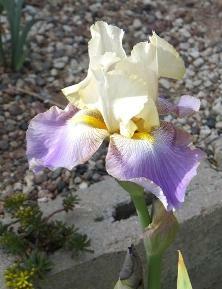 It’s hard to say good-bye to one of the best irises you have! I suspect this iris is the classic variety ‘Ola Kala’, but I will not share it under that name until such time as it passes the side-by-side test. 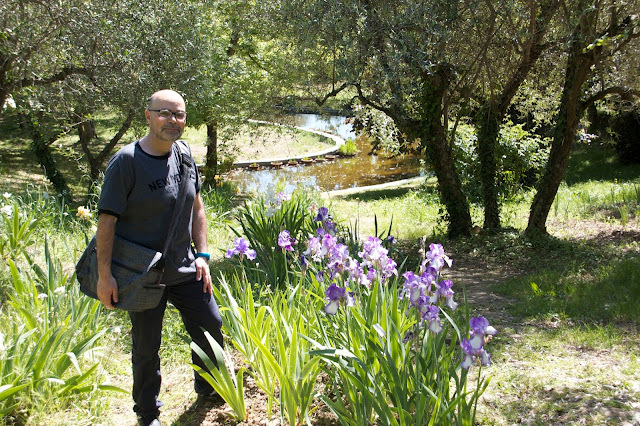 Just as many of us in the U.S. were enjoying the gardens near Portland, Oregon during the National Convention of The American Iris Society, Italians and other European iris lovers were attending their own world iris gatherings. This post is about one such event, The Iris Garden and "Premio Firenze," in Florence, Italy. 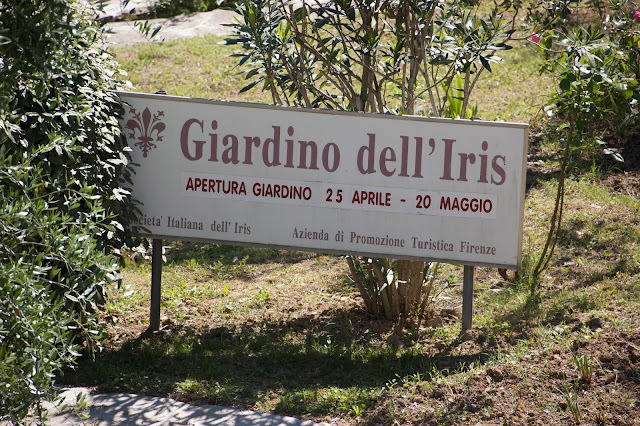 The Iris Garden in Florence located at the Park Michelangelo was created to host the Annual International Competition, and its main prize, the “Premio Firenze” (Florence Award), was given for the first time in 1954. Crucial to the development of this event were Mr. Flaminia Specht and Ms. Nita Stross Radicati, members of the Friends of Flowers Society. 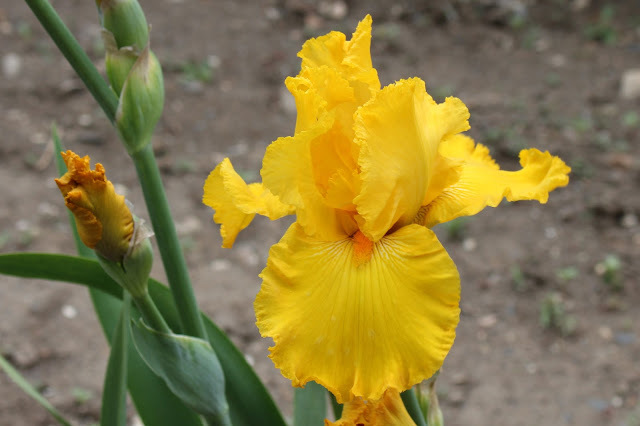 Active hybridizers, it was their energy and drive that brought the event to Florence, a city with an interesting historic relationship with the iris. The then Commissioner of Fine Arts and Gardens, Piero Bargellini, immediately sensed the importance of the initiative, he worked actively to support it and he pushed for the municipality to assign an area on the eastern side of the park. 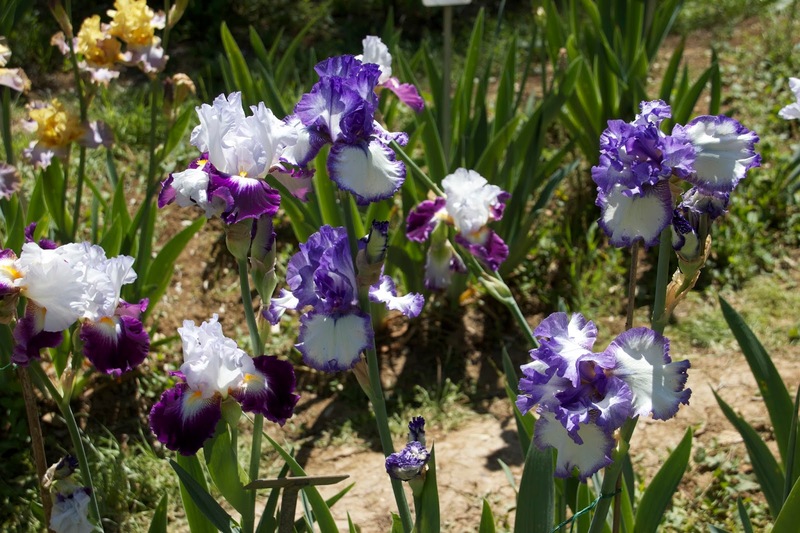 The Garden was an original project by architect G. Zetti and opened in May 1957, after plant donations were made by many foreign growers, including a large collection of historic irises donated by The Presby Memorial Iris Garden in Montclair, New Jersey, U.S. In 1967 the lower area was built to house a pond in marshy ground surrounding the Japanese and Louisiana irises. 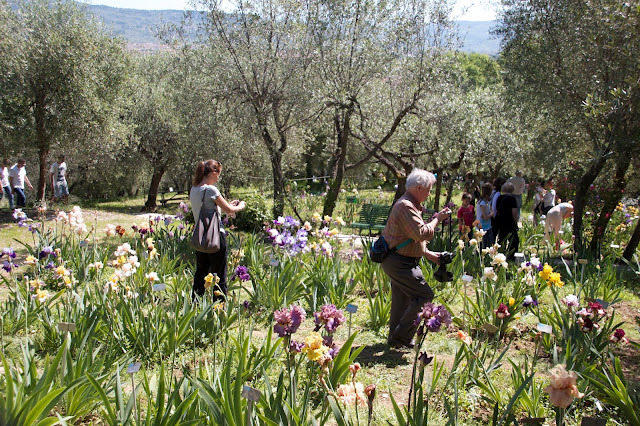 The Iris Garden is run by the Italian Iris Society, founded in Florence in March of 1959 mainly for the purpose of managing the garden designed to accommodate the International Iris Competition and protect the numerous collections of plants it received. Note: This article was original posted in Italian by Saverio Pepe, a resident of Florence, who kindly gave permission to use his material and images for this blog post. For several years I have been taking some of my iris photos and making them into cards, posters, and photo books, adding favorite thoughts and quotes to the image. I have chosen a few to share in the hopes that they may inspire you, or just bring a smile to your face. Most of the iris images are first-time bloomers in my 2015 garden. I love the quote from A.J. Balfour: "What a desolate place would be a world without a flower! It would be like a face without a smile or a feast without a welcome. Are not flowers the stars of the earth?" 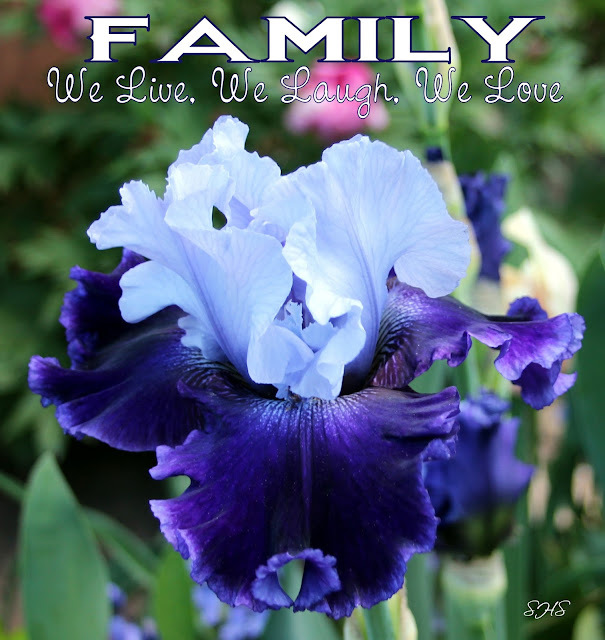 What are some ways you enjoy the beauty of your irises through the year? Do you have any creative ways in preserving their beauty when they're not blooming? I'd love to hear from you!